FH ESTATES. 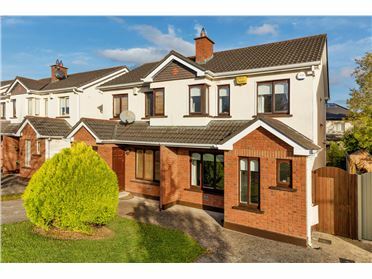 Fred Hickey are delighted to bring to the market 244 Ardmore Drive, Atrane, Dublin 5. This property comes to the market in good order throughout and has been well maintained over the years by the current owners. Located on a quiet, peaceful road close to Ardmore Park this fine family home boasts a host of key features for first time buyers or investors alike. The accommodation throughout this home is bright, airy and well-proportioned. Downstairs briefly comprises of; entrance hallway, living room, family room & kitchen. Upstairs there are three bedrooms (two double, one single) and a family bathroom. 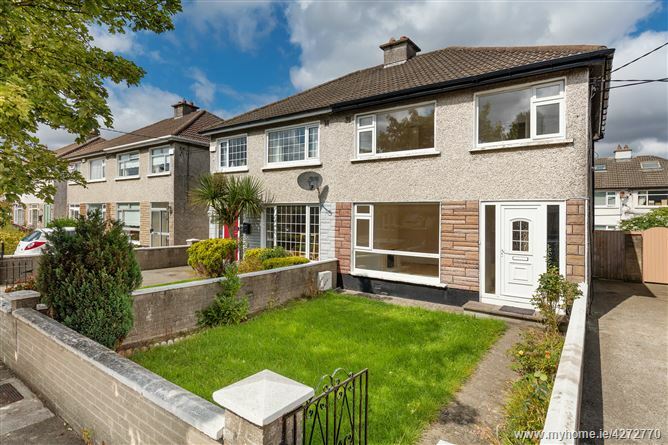 This property enjoys an excellent location close to all local amenities to include excellent primary and secondary schools, Artane and Northside shopping centres, cafÃ©s, sports and recreational facilities. There are numerous transport links within walking distance including well serviced bus routes. Dublin Airport, Beaumont Hospital, DCU, the M50, the M1 and the City Centre are also easily accessible. Entrance Hall: With wood flooring, radiator. Sitting Room: Laminate flooring, granite fireplace radiator TV point. Lounge: With laminated flooring, radiator. Tv point. Kitchen: fitted kitchen, plumbed for dishwasher and washing machine, tile flooring. Bedroom 1: Large double bedroom at the front of the property with laminated flooring, built in wardrobes, radiator. Bedroom 2: Double bedroom at the rear of the property with laminated flooring and wardrobes. Bedroom 3: Single bedroom at the front of the property with laminated flooring, built in wardrobe over stairs and radiator. Family Bathroom: Tiled floor to ceiling w.h.b., w.c., bath, radiator and shower. Side access through the shared driveway leads through to the rear garden.